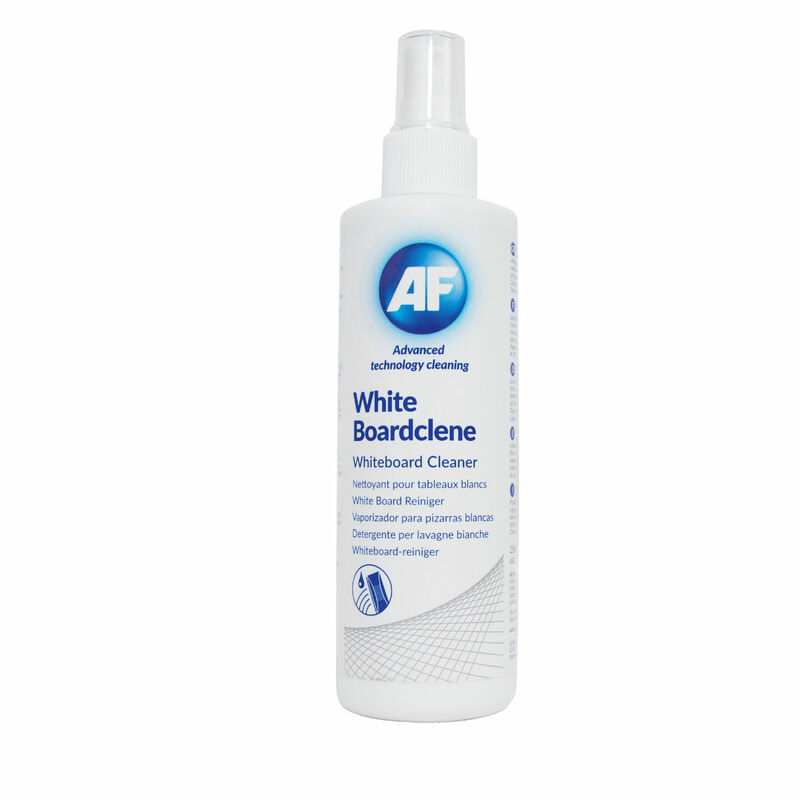 Keep your whiteboard clean and ready for use with the AF Whiteboard Clene Pump Spray. 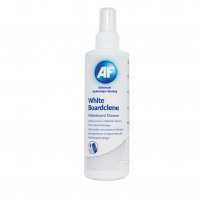 Just press the top to dispense a measure of cleaning fluid on to your drywipe board and use a cloth such as the AF Safecloth to wipe away grime, dirt and dried-on ink. The cleaning fluid is safe for indoor use, non-flammable and carries a pleasantly light lemon fragrance for a clean smell after cleaning.